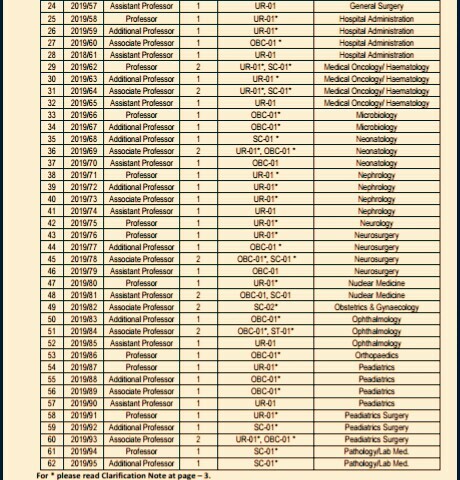 All India Institute Of Medical Sciences, Rishikesh, Uttarakhand, Is Recruiting Eligible Candidates To Non Faculty Posts (Direct Recruitment/Deputation Basis/Contractual), So Interested People Can Apply For This Job By The Last Date, Mention Below. Kindly Do Check Out The Official Notification/Advertisement For More Info, It's Given Down Below. Non Faculty (Check The Image Below For More On This) →115 VacanciesVacancies. 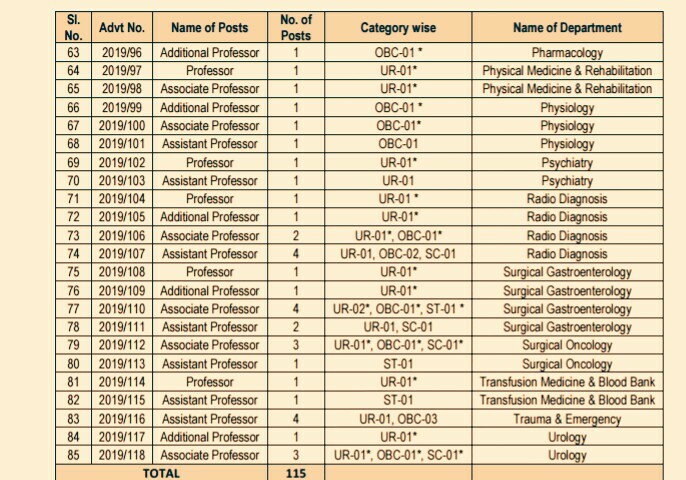 Total Number Of Vacancies →115 AIIMS Rishikesh Recruitment Vacancies 2019. B. 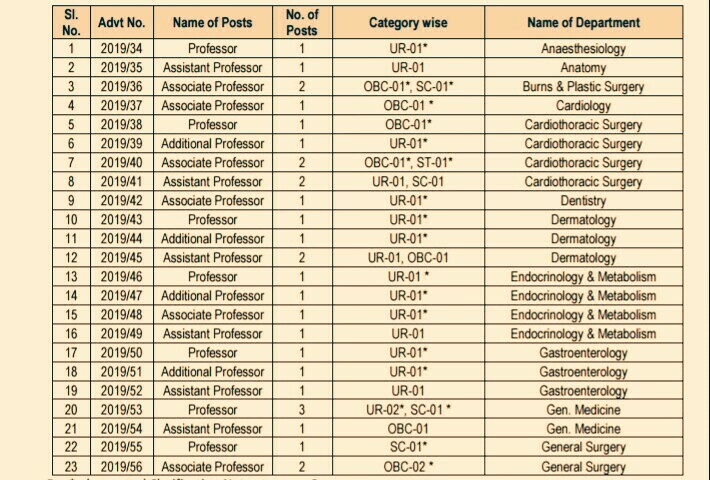 Eligible Criteria For This Job Of AIIMS Rishikesh 2019. Age Limit →There's Different Age Requirements For Each Posts, So Kindly Go Through The Official Advertisement. Educational Qualifications →Degree In Concern Discipline From Certified University. Mode Of Examination/Selection Process →Personal Interview. Online Application/Examination Fee →₹3,000 For Male Candidates Belonging To General/OBC, ₹1,000 For Female Belonging To General/OBC & ₹500 For ST/SC Candidates, Through Online Payment Mode. Last Date For Online Application Form Submission →31th Of March, 2019. For More Info →Kindly Check Out The Official Website Time To Time To Get Updates On Admit Card Download, Exam Result And More, Link Is Given Here>The Official Website Of AIIMS Rishikesh, India . Thank You For Your Support And Love, Till Then Then Stay Safe And Blessed.